Amid a bloody dispute between rival drug gangs battling for control, the Mexican state of Sinaloa has just seen its deadliest weekend in years with at least 30 people killed. Sinaloa, on Mexico's northern Pacific coast, is home to the country's top narco-traffickers. After a period of relative calm, cases of shootings, violence and dumped corpses spiked in the past year. Analysts attribute the escalation to a turf war between factions in the Sinaloa drug cartel following the 2016 capture of kingpin Joaquin "El Chapo" Guzman. He was deported to the United States in January. The Sinaloa state government convened an urgent meeting of security officials on Saturday to discuss the upsurge in violence and to chart a response. Violence has also shot up in other parts of Mexico, making May -- with 2,186 homicides -- the deadliest month since an official crime register was first kept in 1997. The register does not specify how many deaths were drug-related. In the deadliest recent incident, a firefight erupted late Friday in the resort city of Mazatlan after a caller phoned police to report that an armed group had killed two men. The alleged killers, traveling in a convoy of four pickup trucks, were intercepted by state and military police and both sides opened fire. In addition to the two victims, all 17 members of the group were killed, Sinaloa security chief Genaro Robles told reporters on Saturday. Five police officers were wounded; all were hospitalized in stable condition. Authorities reported at least 11 other violent deaths in different parts of Sinaloa on Saturday. They included a man in Culiacan shot by individuals who broke into the clinic where he was being operated on; and three young people whose bodies were found in Navolato. 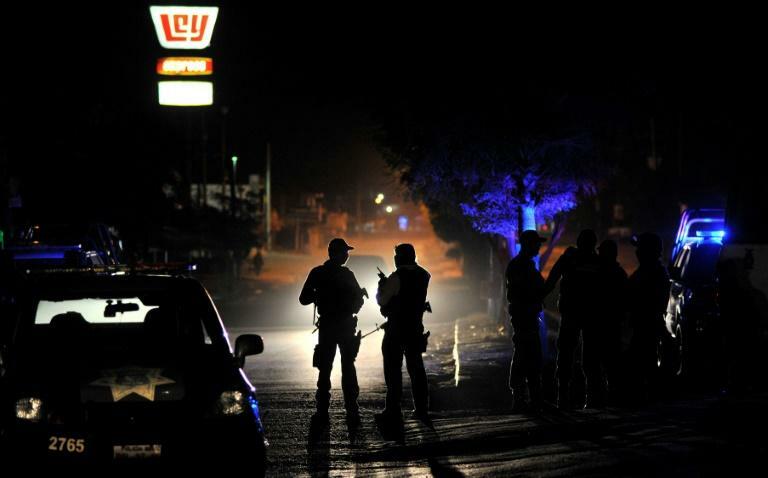 Violence is also on the rise in neighboring Chihuahua state, on a key drug route to the United States, and in Guerrero -- the state that includes the Acapulco resort -- on the southern Pacific coast. Police say six men were killed in separate incidents in three towns in Guerrero, while in Chihuhua, some 20 people have met violent deaths since Thursday. Recent events in Mazatlan have pointed to the possible emergence of a new criminal cell. The dispute in Sinaloa pits Guzman's sons against a group led by one of his former lieutenants, Damaso Lopez Nunez, who was recently captured. But analysts say other groups are involved, including the Beltran Levya cartel and a gang led by Guzman's brother Aureliano. Among the victims of Sinaloa violence was journalist and AFP contributor Javier Valdez, shot to death in Culiacan on May 15, purportedly by traffickers angered by his coverage.